The great Aussie hope was two sets up and cruising against 32-year-old Italian journeyman Andreas Seppi on a frenzied Hisense Arena. But yet again, his fragile emotions unravelled and – out of nowhere – he began muttering to himself, throwing his racquet, moaning at figures in the crowd. Seppi sensed an opening. And he exploited it to the full. From 1-6 6-7 down, he took the third 6-4 in half an hour, the fourth 6-2 in five minutes less and then dug in for what he knew would be a titanic decider. 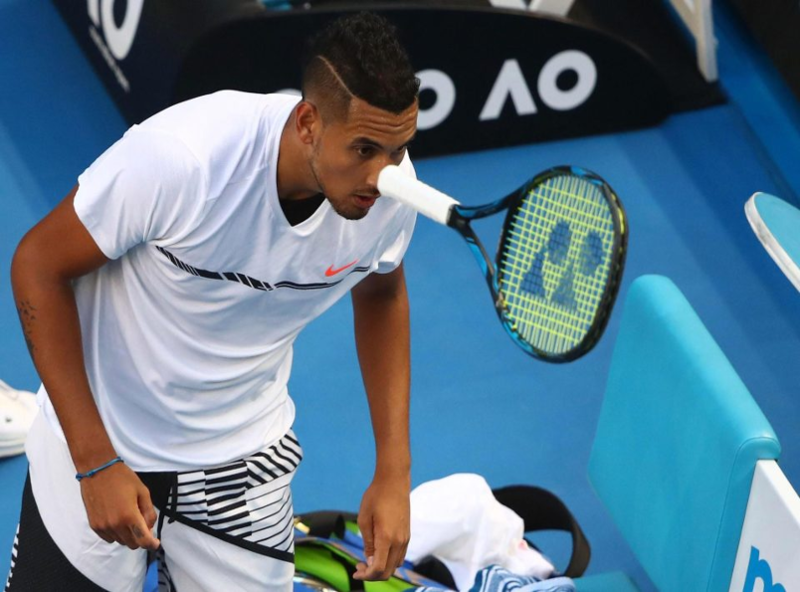 Kyrgios roused himself to stay in the hunt, producing some amazing shots under pressure – including a ridiculously-cool through-the-legs half-volley in the middle of a tense rally – and it all went down to who could keep his nerve the longest. 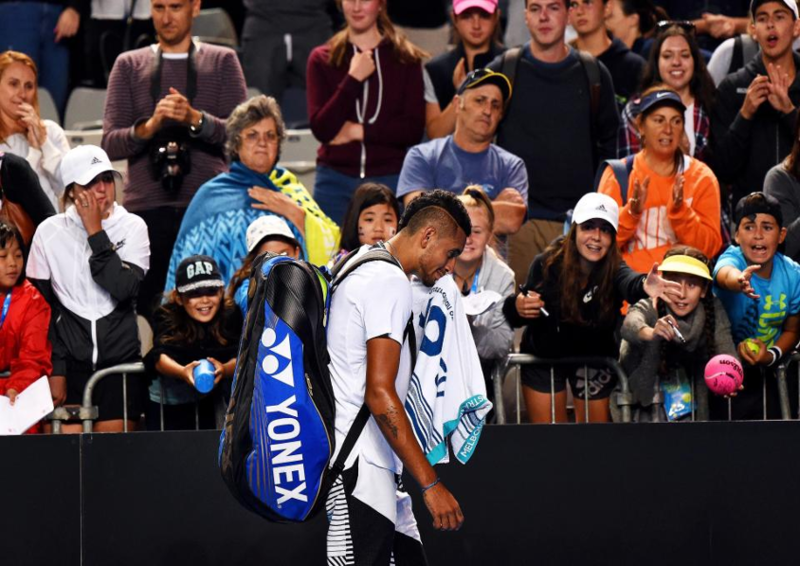 At 8-8, Kyrgios blinked first, his serve broken and Seppi left to see the job through – and spark a storm of abuse for a home favourite who’d blown a massive chance.